It was 11:45 when we arrived at Kadonyo Health Centre 11 with a team of journalists and bloggers on a mission with UN women Uganda office to document stories to raise awareness for clean and renewable energy at health facilities in Karamoja region. Talk about a stitch in time, Martin one of the team members quickly offered his cell phone to Lolkalol who made that call. Moroto Referral hospital is 15 minutes away. “There is a problem, the ambulance cannot come immediately because it is picking another patient from another village.” Mr. Lolkalol announced. At this moment all I could say was silent prayer. “Lord please help this woman.” She wasn’t screaming but agony and resignation was written on her face as she stood restless in the corridor holding her knees. 13:25, the Lolkalol’s phone rang, he told us that finally the ambulance was on its way. All our eyes were now fixed on the road. 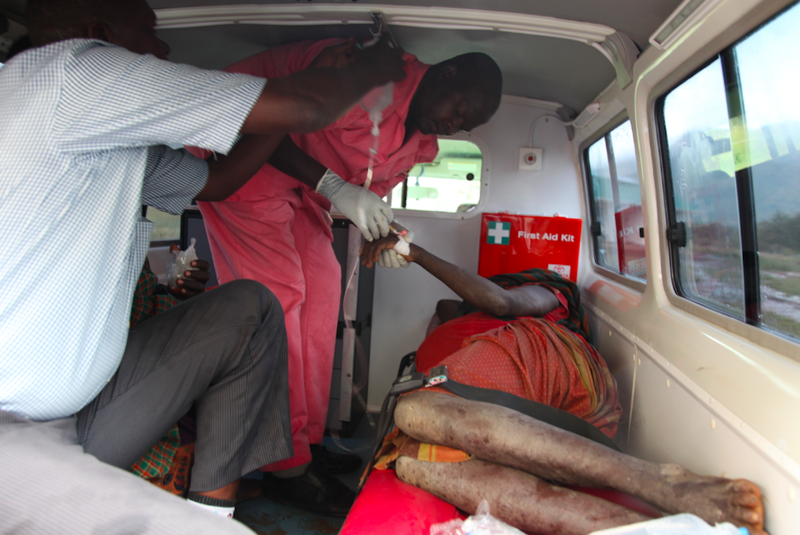 At exactly 13:45, the Ambulance arrived; there is relief on the face of everyone that was gathered at the health Centre. I am amazed at the swiftness of the ambulance driver who doubles as a paramedic. He picked up the woman taking her straight to the ambulance, quickly but accurately he fixes the drip on the woman’s hand. We continued our business at the Health center but this woman was on my mind hoping against hope that her and her baby get through this ordeal alive. 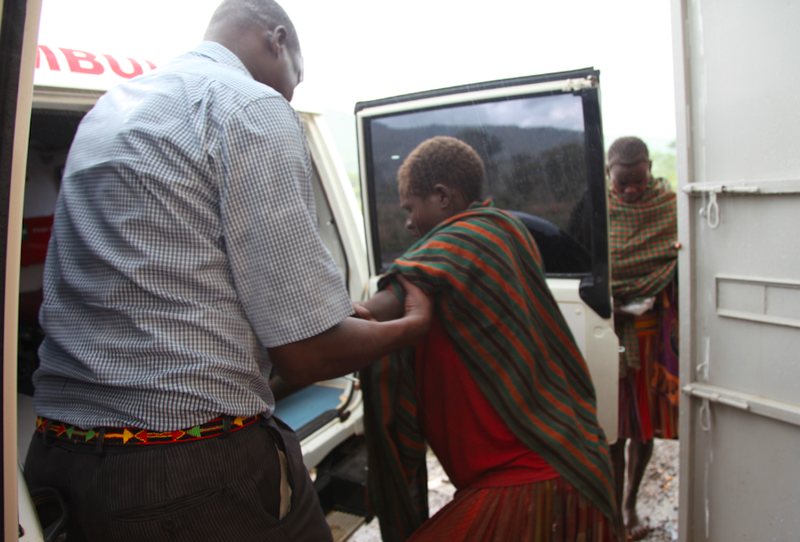 On our way back to Moroto town we met the ambulance driver who told us that the woman had given birth safely. According to the Uganda Health and Demographic Survey 2011, Uganda’s maternal mortality rate is still high at 310 deaths per 100,000 live births and in Karamoja region alone, at 500 deaths per 100,000 live births. What is the link between Energy and Maternal Health in Uganda? ← What is the link between Energy and Maternal Health in Uganda?